Over the past 20 years, the “amateur” ski sports have undergone considerable changes. Despite that many ski resorts have continued to compete in the increase of cable car transport capacities and in the creation of countless groomed slopes, so called “skiing highways”. Recently some cable car operators have discovered skiers’ interest in “free skiing” and have therefore created dedicated parks for this type of skiing. An initiative that has been copied by many without any added value. Further improvements to address evolving skiing trends like refraining from grooming slopes with powder skiing potential after snowfalls or creating combined artificial and natural mogul runs cannot be detected. Initiatives to expand the use and to protect the cable car accessible powder terrain for skiers are inexistent. At the same time also guest interests and skiing priorities have changed. Today’s cable car managements have become complacent and are in no mood to think about measures on how to make their ski terrain more attractive for skiers. Concepts on required new infrastructures and terrain access options that allow skiers and snowboarders to make full use of their state of the art equipment are inexistent. Instead of venturing out to new horizons winter sports destinations prefer to moan about their difficulties, in Switzerland, for example, about the strong franc, ski schools survive on selling the same programs as ages ago and outdoor companies make their money by offering their services primarily to advanced skiers. It appears that all is fine and there is no need for action! Contrary to the increased transport capacities of cable car operators the number of active skiers is declining. However, when skiing on the groomed “highway” slopes skiers get the impression that many people are using them and thus feel uncomfortable. Fitting ski boots and modern skis make turning easier and allow even average skiers to go fast. Skiers who want to avoid critical situations must, therefore, always remain fully concentrated and alert – instead of relaxing and recovering from the daily stress at the workplace people continue to be under permanent tension even when practising their favourite sports. Some years ago it was still possible to escape the crowds on groomed slopes by moving to the nearby backcountry. Thanks to modern ski technologies more and more skiers with the adequate equipment are capable of accessing the backcountry. This leads to a situation where even the formerly untracked terrain near groomed slopes turns into a heavily frequented skiing ground within hours after snowfalls. Due to the increased number of skiers accessing the backcountry groups of environmentalists have succeeded in turning many cable car serviced backcountry terrains into banned “wildlife protection zones”. For many skiers, the options to enjoy their preferred sports in stress-free zones are therefore constantly reduced. The sales volume of freeriding skis and touring equipment of sports shops is showing the changes in skiers’ preferences, the number of innovations and the business growth of backcountry skiing gear manufacturers confirm this trend – skiing on groomed slopes is out, powder skiing is in! However, despite the progress in ski technologies it is still difficult for many skiers to venture out into the backcountry because besides the equipment also the skiing technique must be adapted to the new playing field. Unfortunately, apart from expensive private skiing lessons there are hardly any options available to support beginners in the development of these new skills. Skiing is a fantastic outdoor sports activity which, when properly done, contributes a lot to increase physical performance and to provide mental relaxation. However, to make the most of the skiing day or their ski vacation people must move from the crowded groomed slopes to the numerous untouched snowfields in our mountains. The good news is that backcountry skiing is now possible for most skiers without having to undergo weeks of training. The interest in skiing in the backcountry is highlighted by the increased number of proposals for freeriding programs and ski trips to foreign lands. Unfortunately good skiing skills in all types of snow are a prerequisite for participants and, therefore, these programs offer no alternative to skiers with limited backcountry skiing skills. For beginners, there are still only a few options available to start their journey into backcountry skiing. I have identified only a handful of companies in Europe who actively offer and promote powder ski programs in the Alps. In most resorts, this service is still exclusively in the hands of a few privileged private ski instructors and mountain guides. 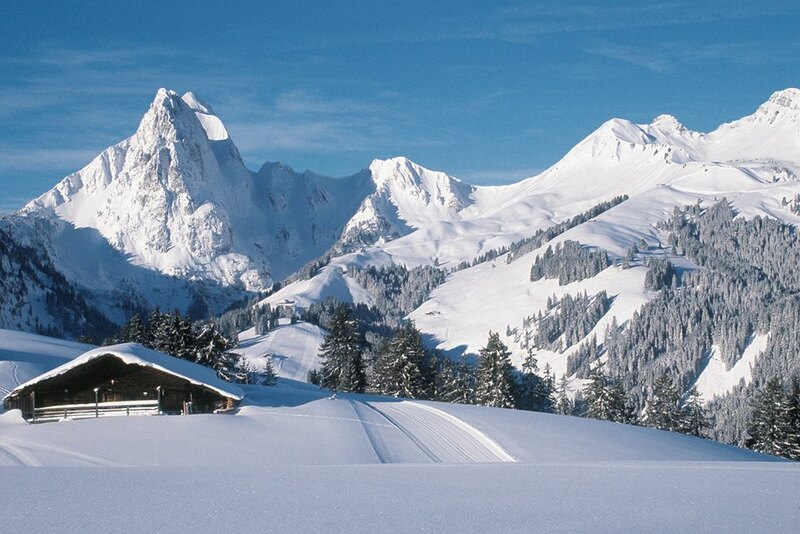 However, it is an undeniable fact that an increasing number of people have the desire to ski in deep snow! Besides the lack of dedicated powder skiing courses also the outdated cliché that “powder skiing is only for expert skiers” is making people hesitate to try it out. Based on our findings and our experience with our powder ski programs in the Himalaya we have decided to create programs which will facilitate the move from skiing groomed slopes to ski in the backcountry; from developing the right skiing technique to danger evaluation and avalanche rescue methods. 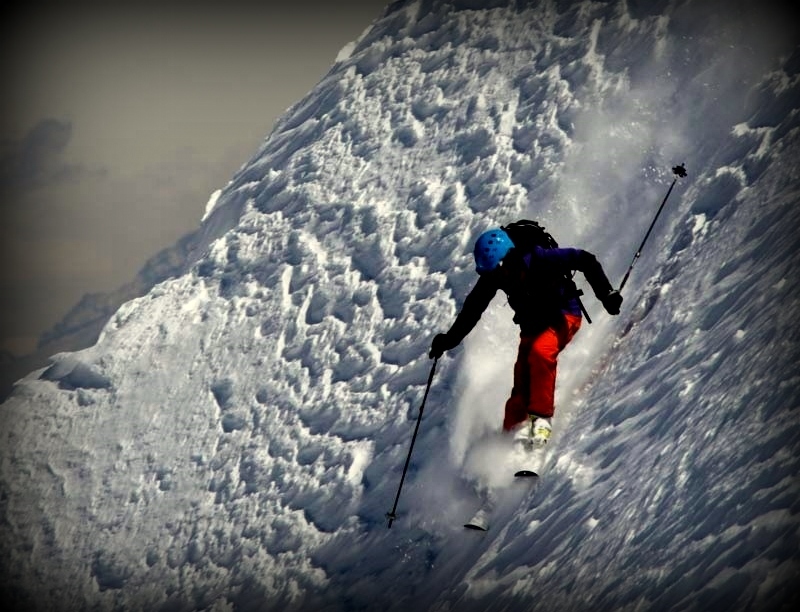 The motivation to propose beginner courses for powder skiing results from my personal experience with a participant in our programs in the Himalaya. After having told this guest in typical mountaineering terms that his skills are far from sufficient to ski in the Himalayas he asked me where else programs to develop and practice powder skiing skills could be found? Furthermore I realised then that when powder ski beginners are prepared to spend more than 2’500 Swiss francs for their participation in a backcountry skiing program in the Himalayas then they will do the same in the Alps too! Starting to ski in deep snow cannot be compared to the first attempts to ski on groomed slopes. Participants in freeride courses have usually been skiing for some time and, therefore, the first step is to assist guests in stabilizing their existing skiing technique and to build confidence in their skiing abilities. This allows them to try out first turns in the backcountry in a relaxed and confident manner, and gives them the courage to adapt their skiing skills to the new environment. The path to a perfect skiing technique and to the ability to ski in the backcountry does not consist of permanent drills and repetitive exercises. It is more about building on existing skiing skills and on complementing them with powder skiing specific movements. Gstaad Outdoors’ powder ski programs and ski coaching offers have been designed to develop and enhance backcountry skiing skills of all our guests; private persons, families, and small groups. Powder skiing is more than just another form of skiing, it is pure pleasure and fun for everybody. When participating in powder ski trainings participants will have many chances to experience their learning progress and to become aware of their skill improvements. From the benefits of a stabilized skiing style over an improved sense of balance and efficient edge changes to the first completed turns in deep snow. Gstaad Outdoors’ powder ski coaching assures that program participants will rapidly be able to enjoy longer descents in deep snow and to access the backcountry on their own. When people have experienced the pleasure of skiing in the backcountry they want more! First they explore the terrain in their home area and then they search for the exceptional and extreme. Over the past few years ski trips to Japan and spring ski touring in Norway have become fashionable alternatives to the traditional heli-skiing trips. We at Gstaad Outdoors too are proposing attractive ski trips, however, not to the above mentioned mainstream destinations but to exotic and largely unknown ski areas. 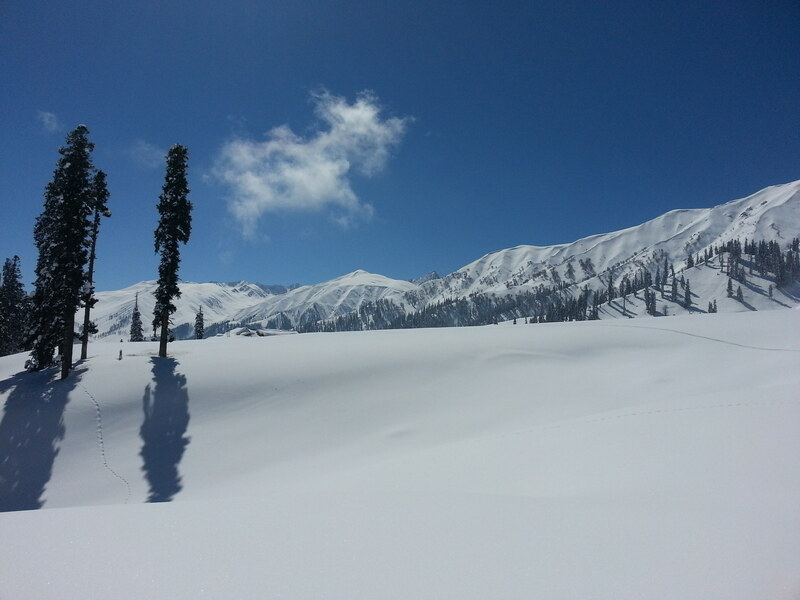 Our trips take us to the Himalaya powder ski paradise in Gulmarg, Kashmir, to a fantastic summer ski resort at the end of the world in Ushuaia, Patagonia and to the ski touring wonderland in Island on the Arctic Circle. Our ski trips not only provide options to explore the wilderness of remote mountain areas on skis but are also a chance to familiarize oneself with new cultures and forms of living. Because skiers leave the controlled skiing zones and start to explore the mountains on their own powder skiing, freeriding and ski touring are considered as “risk sports activities”. Adequate equipment, a sound terrain knowledge and the ability to find suitable routes are prerequisites for safe backcountry skiing. However, the biggest danger in the backcountry are avalanches. A sound training in avalanche risk assessment and search and rescue methods is, therefore, more or less mandatory before skiers access terrains outside of the controlled zones. Apart from the handling of the avalanche safety equipment (beacon, shovel, probe) the avalanche trainings of Gstaad Outdoors also provide the skills for proper risk assessment and for a systematic intervention after an incident. As ski program operators, ski schools and a winter sports destination managers we must constantly observe changes in our guest profiles and in the evolution of new customer expectations. Especially in the ski sports market we are experiencing massive changes in guest expectations and these will even increase in the years to come. Assuring access to areas with unlimited backcountry skiing options will be the primary task for cable car operators. Terrain diversity will replace transport capacity and groomed slope size, and will be crucial in assuring resort competitiveness. It could be observed already over a very long period, the type of skiing that was practised for years is dead! Required are now new ideas and innovations that meet the expectations of today’s “allround skier”! For this tourist resorts and cable car operations must replace today’s traditional spreadsheet managers and their “bean counters” with a new generation of decisive entrepreneurs and risk-taking pioneers.